LITTLE ROCK, AR (KTRK) -- An Arkansas family went to bed expecting to get a restful night's sleep -- but what they got was anything but restful. In a Facebook post, Jesse Newton explains that his puppy, Evie defecated in the living room at some point after the family went to bed for the night. As if that wasn't bad enough, the family's Roomba vacuum cleaner (which was programmed to start vacuuming the house at 1:30am) then proceeded to track Evie's surprise all over the house as it attempted to clean overnight. "If the unthinkable does happen, and your Roomba runs over dog poop, stop it immediately and do not let it continue the cleaning cycle. Because if that happens, it will spread the dog poop over every conceivable surface within its reach," Newton writes in a Facebook post. "It will be on your floorboards. It will be on your furniture legs. It will be on your carpets. It will be on your rugs. It will be on your kids' toy boxes. If it's near the floor, it will have poop on it," he continues. 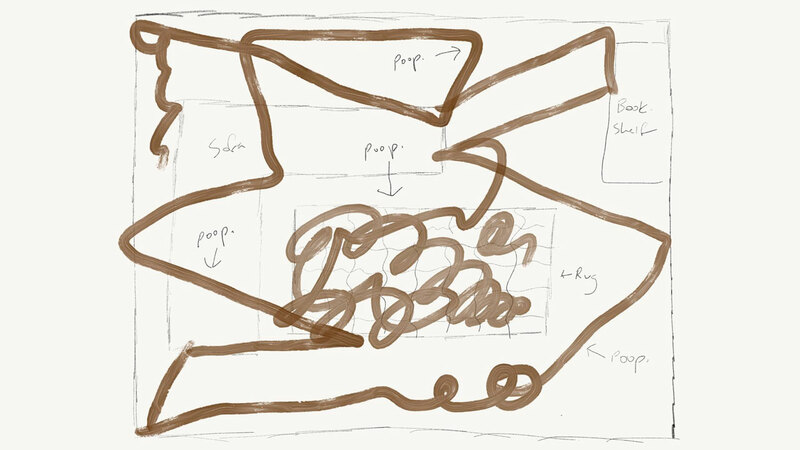 "Our lovable Roomba, who gets a careful cleaning every night, looked like it had been mudding. Yes, mudding - like what you do with a Jeep on a pipeline road. But in poop." And if you thought it couldn't get any worse, it does. Newton's young son wandered into his parents' bed, bringing with him -- you guessed it -- a trail of Evie's special gift. Thankfully, the story does have a happy ending of sorts. Hammacher Schlemmer replaced the poop-logged vacuum for free, even though it had soldiered through what Newton now refers to as the Pooptastrophe. Newton's cautionary tale has clearly resonated with social media users who, caught in a state of abject horror, have shared his post over 220,000 times in three days.